Sorry, we like to give you more updates about the Morocco Desert Challenge, but there are no official news in English available. 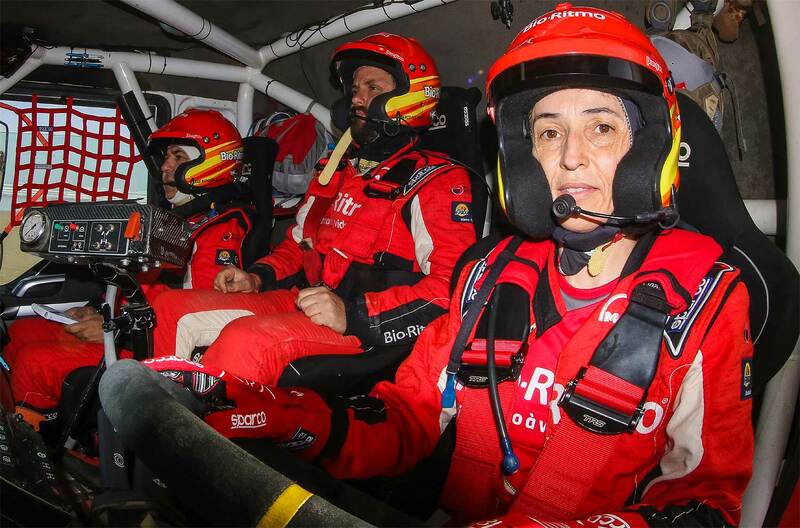 So herewith the report of Truck-Lady Elisabete Jacinto from Portugal, driving with a Rally-MAN. After SS02 on Monday she reached the fourth place among the trucks and made a brilliant recovery of 22 positions in the ranking, after the setback suffered in the prologue that left her in the last places among the T4. The team showed its consistency and reliability by setting a fast rhythm that allowed getting closer to the goal of reaching a place on the podium of the trucks. Note that the Portuguese were the 14th fastest team on Monday’s stage, in a total of 90 cars, buggys and trucks participating in this race. In the selective sector that led the competitors to Touzounine, Elisabete Jacinto performed the course in an exemplary and faultless manner, despite having had the demanding task of overtaking the slower competitors. 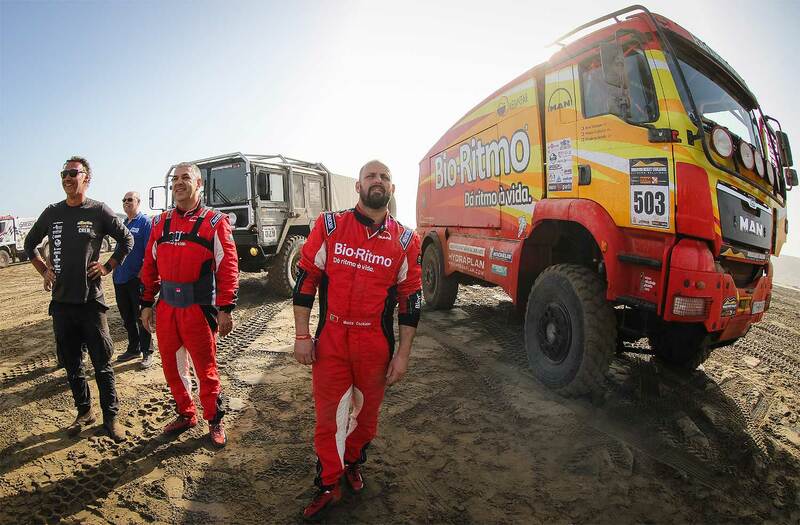 The Portuguese trio is now in seventh place in the general classification of trucks. "Today we can say with certainty that it was the day we beat our record of overtaking," Jacinto said after the stage. "It was a difficult job, because we got a lot of dust, but we managed to do a very good and smooth stage. The special was really complicated. The hardness of the route and the extension of the selective sector made life very difficult for us." She continued: "We spent seven hours driving what is truly tiring. Despite the obstacles, we had no difficulty with the navigation and we always came on the right track with a good pace. We did a good job and we are happy with our position." 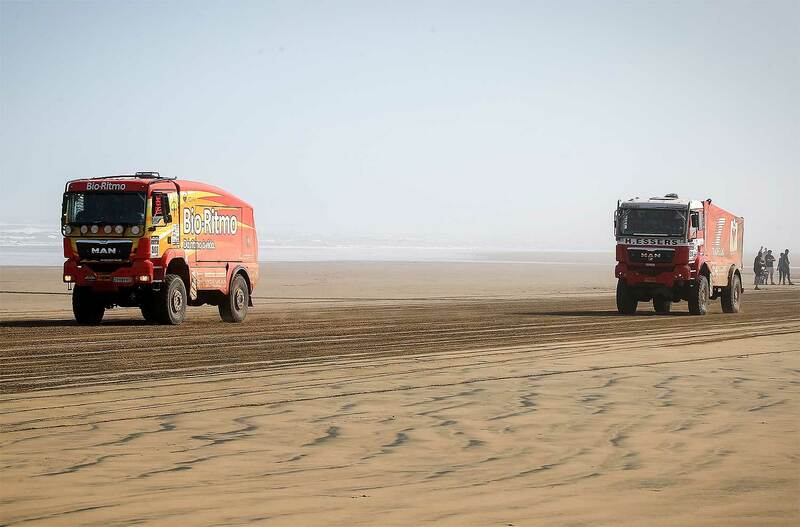 The third stage of the Morocco Desert Challenge on Tuesday takes the caravan through one of the legendary Dakar rally tracks and will cross the largest military zone in southern Morocco. The special, which begins in Touzounine, will have 335 kilometers completed to the chronometer and will be held through fantastic desert landscapes. After crossing the dry lake Iriki, competitors will face the complex dunes of Chegaga and after passing a series of sandy and winding slopes will reach the camp that will be installed in Erg Lihoudi, also known as "the dunes of the Jews".